Middleton Tigers Host Electrathon 120 Races. After several years of racing on the big parking lot at Middleton it was not available this year. But Ken Fiallos came through with a real good replacement. While I am not a big fan of drivers ed courses Ken put together a fast course that drew praise from all the drivers. The Middleton race drew the largest field we have had in a while with 15 cars taking the grid for the first race. We were missing Drew Jet but had three new cars and two new schools. We also had an inquiry from Brook DeBartolo Charter School about getting involved. We want to welcome back the USF Engineers and their old 132 car. We also want to welcome Foundation Christian High School to our group. They are driving one of Robinson Racings old but fast cars. TBT fielded its second car the #133. Brandon HS had their first full time female driver in the #14 car and HCC had a female driver in the second race, more on that later. 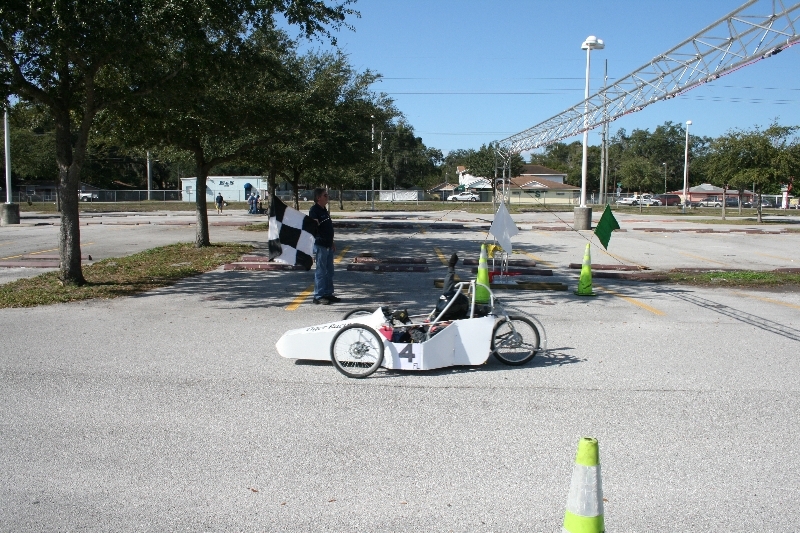 Foundation CHS had a small team for their first Electrathon adventure and she took fourth place overall in the High School Class. During the course of both races many places were decided by scant seconds over the course of one hour of racing. The pit area, the course infield, was a beehive of activity prior to the first race. So much so that the start of the first race was pushed back 15 min. As is the custom in the pits many teams were helping their arch rivals get ready to race. Foundation CHS only had two members on their team so several teams pitched in to help them get ready. They were 20 min. late starting the first race and then had a tire go down. Even with all those problems they still had 45 laps in the first race and had 86 in the second race. Their drive got many compliments on her driving ability. In the first Open Class race the usual suspects were at it again with Tiger Racing ahead by two laps at the end with Robinson Racing taking 2nd and third with the 94 ahead of the 13 by 4 sec. The Electrocutioners in 90 car beat out HCC for 4th by 10 sec. The second race had a little excitement when the HCC car got into it with the Electrocutioners and wound up in the infield all busted up. Only sheet metal damaged and the driver was OK. CHECK OUT THE STAT SHEET HEADING ON THE TOP TOOL BAR FOR COMPLETE STATS, LAPS, POINTS ETC. Not the singing group but a whole bunch of new teams. The Middleton, Strawberry Crest and Wharton High School teams are all stocked with new drivers and pit crews this year. All the new teams had good a day on the track at the HCC Brandon Campus. Other than the normal flat tires there were no problems other than when three cars were trying to fit into the space for two cars and Middleton took out some of the cones. Race day was a question mark with the weather looking rather questionable early. The first race was delayed for 30 min. for conditions to improve. The Brandon #9 was all set to start to defend its 2013-2014 Championship against its Tampa Bay Tech #242 nemesis. During the first race things were close till midway through the race when Brandons #9 lost power and finished in last place. Turns out that the motor control computer was not set up properly with the under volts cut off set to high. They didn’t have their laptop to reprogram the controller so the #9 was out of contention for both races. TBT ran two strong races taking first in both and 1st place overall in the High School class. A good start for their Senior driver Brady. TBT should have a second car ready by the next race. The Science Club will be running one of the old USF cars by then. The Brandon #14 car finished a close second in both races and 2nd overall in the High School class. Now for the New Kids On The Block. The surprise of the day was Middleton. With the redesign of their car they finished a strong 3rd in the first race with 85 laps. With brand new drivers and a redesigned car they will be a team to look out for. In the second race the battery bug bit them and they finished last. They were passed by a snail on the last lap but were able to complete the hour. They only have one set of old batteries and couldn’t get them fully recharged between races. 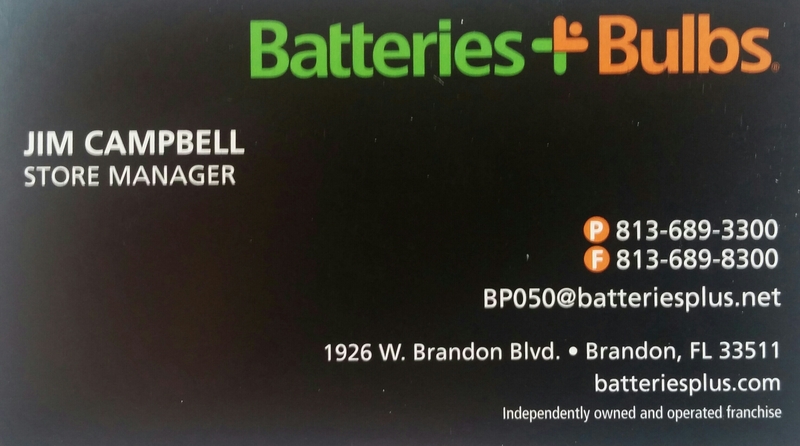 Better batteries and look out. Strawberry Crest and Wharton both had all new drivers and pit crews. Both ran steady races with both teams getting bit by the tire Monster. Strawberry Crest also had a great pit stop area set up with burgers and drinks for all during the break between races. It was much appreciated by all. The Wharton pit crew did a fantastic job on a tire change. The worst tire to blow is the drive wheel because you have to dismount it from the chain and fork then readjust everything. In the Open Class Tiger Racing with Rodney at the wheel took up where he left off last year, winning it all. The Electrocutioners #90 took second overall for the day. The HCC team with a lot of new members ran two strong races. They were just two laps out of second place in the first race. They got bit by the Tire Monster too in the second race and finished off the pace. HCC is looking good for the start of the year. The Electrocutioners #8 running Lithium Ion batteries is in a class by itself, literally. Drew had the top lap count in the first race but had steering problems in he second race and had to withdraw. Tiger Racing and the Electrocutioners #90 battled it out in a fairly close second race finish. After one hour of racing the margin of victory was 1.25 seconds in favor Electrocutioners #90. A blink and you missed it. 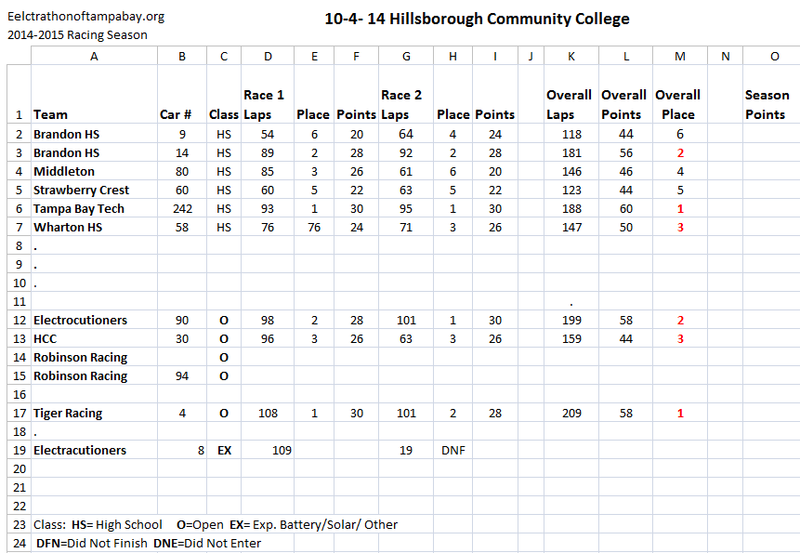 The next race is Nov. 1st at Strawberry Crest High School. Weather should not be a worry so we look forward to more teams competing. As the start of the new school year is upon us here is some exciting and important information. The SkillsUSA State Championships will be held at the Lakeland Center in April. Dates are not set but it will be held over two days. We will hold races both days. The regional competition will be held locally at Tampa Bay Tech, Middleton High School and Erwin Technical Center. The skills competition, our races, will be on the first day. Dates are not set but it will be early February. SkillsUSA competitions are held during the week so no weekend racing. Electrathon Of Tampabay will be holding a meeting in August and the regional SkillsUSA will hold an organizational meeting in Sept. I will be at both meetings so stand by for more detailed information. Pres. Obama and Electrathon car from San Antonio at the White House Science Fair. This car has competed at the Emerald Coast Electrathon at Five Flags Speedway at Pensacola Fl.